Three UAW Locals have overwhelmingly endorsed, by full member vote, to support boycott, divestment, and sanctions (BDS) in solidarity with Palestinian workers and society. This grassroots momentum has only increased despite anti-democratic actions by higher up Union officials to quell debate on the issue among locals. Notable challenges to this dominant Labor Zionism began in the late 1960s. These include positions taken by the League of Revolutionary Black Workers in 1969 and wildcat strikes against the United Auto Workers (UAW) leadership’s support for Israel in 1973. Since September 11, 2001, Israel’s wars and other apartheid policies have been challenged by New York City Labor Against the War (NYCLAW), Labor for Palestine, ILWU Local 10 dockworkers, UAW Local 2865 graduate students at the University of California, the United Electrical Workers, and others. Increasingly, such efforts have made common cause with racial justice and other movements, and—at the margins—have begun to crack Labor Zionism’s seemingly impregnable hold in the United States. Three UAW Locals have overwhelmingly endorsed, by full member vote, to support boycott, divestment, and sanctions (BDS) in solidarity with Palestinian workers and society. This grassroots momentum has only increased despite anti-democratic actions by higher up Union officials to quell debate on the issue among locals. The UAW’s Public Relations Board (PRB) is the latest body to attempt to quell labor solidarity with Palestinians by affirming the UAW International Executive Board’s (IEB) nullification of Local 2865’s majority member vote to support BDS. UAW Local 2865, which represents over 14,000 graduate student workers at the University of California, voted in December 2014 to support BDS with 65% of voting members in favor. The vote saw unusually high turnout, greater than that of a recent contract ratification vote. A few members who opposed the resolution engaged a union-busting corporate law firm to appeal the vote. 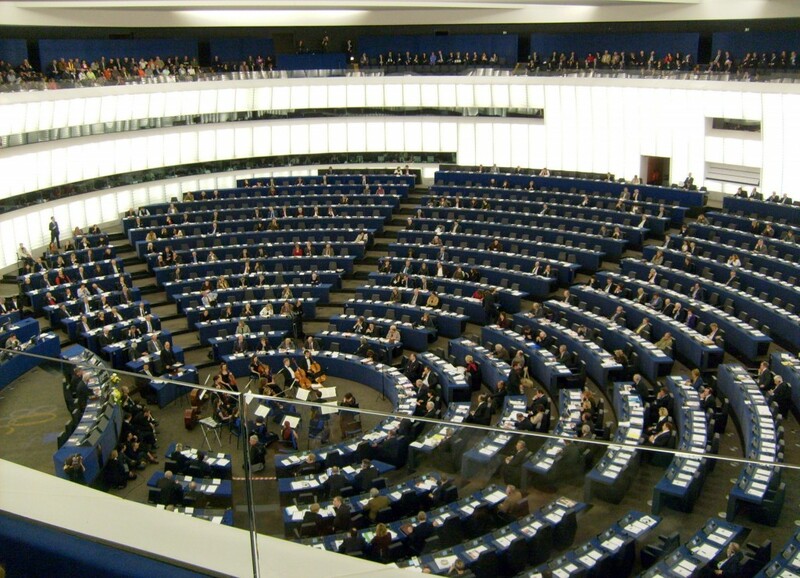 In December 2015, the International Executive Board struck down the BDS resolution, despite affirming the democratic integrity of the vote. This week, the UAW PRB, a body charged with reviewing decisions of the Executive Board on appeal, affirmed the nullification. The PRB’s decision to uphold nullification of the BDS vote is based solely on a thread of antidemocratic thinking that misrepresents basic facts. They posit that because the UAW International president signed a letter opposing BDS in 2007 – without any record of discussion or debate within the IEB, let alone the membership – the International Union now holds a position against BDS and subordinate Locals cannot assert a different position. The PRB ignored the clear language of the resolution, which simply called on the UAW IEB to change its current position of investment in multinational corporations that enable human rights abuses. Because the original BDS vote thereby recognized the authority of the IEB, the PRB decision represents an attempted ban on even raising the debate within the UAW. A growing number of graduate student worker organizations have endorsed BDS. In April, the New York University Graduate Employee Union (GSOC-UAW 2110) and the University of Massachusetts, Amherst Graduate Employee Union (GEO-UAW 2322), representing over 2,000 members each, endorsed by full membership vote the call from all major Palestinian trade unions and civil society groups to impose BDS against Israel. Last week, the Teaching Assistants’ Association (TAA/AFT Local 3220) at the University of Wisconsin-Madison, representing over 9,000 graduate workers and students, voted overwhelmingly in favor (81%) of adopting a BDS resolution. Graduate teaching assistants at the University of Wisconsin-Madison this month became the latest unionized workers in the US to vote in favor of a resolution supporting the Palestinian-led boycott, divestment and sanctions (BDS) movement. Meanwhile a United Auto Workers review board upheld a decision by the union’s national executive to nullify a democratic vote backing BDS by rank and file members in California. In the Wisconsin ballot, 81 percent of voting members in the 9,000-strong Teaching Assistants’ Association backed a resolution calling for divestment from Israeli state institutions and international firms complicit in Israeli military occupation and ongoing violations of Palestinian human rights. The resolution passed by members of TAA/AFT Local 3220 calls on the University of Wisconsin, its parent union the American Federation of Teachers and the AFL-CIO national labor federation to divest. The union also takes aim at widespread efforts to demonize and criminalize BDS activism, including within the trade union movement where support for Palestinian rights is growing. TAA is the oldest graduate student labor union in the United States. Its vote represents a challenge to the leadership of its parent union, the American Federation of Teachers (AFT), whose executives have strongly opposed BDS. As The Electronic Intifada reported last year, AFT President Randi Weingarten has tried to smear BDS by association with violence and terrorism. 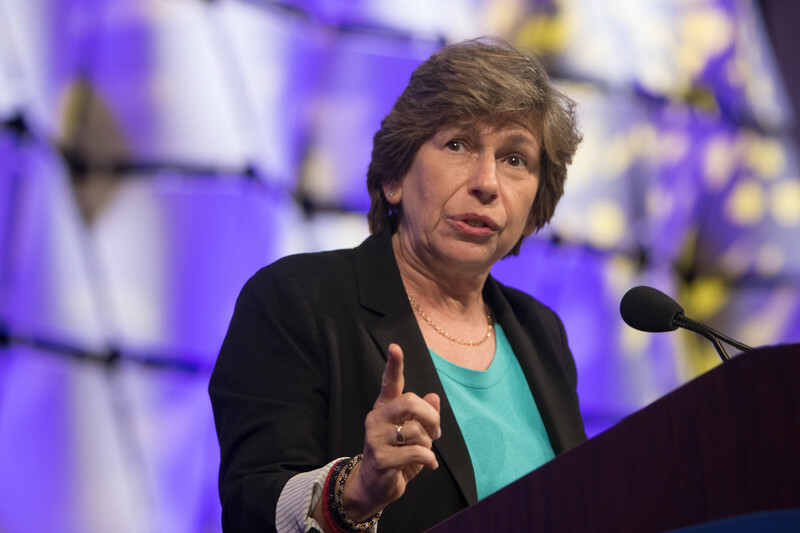 Weingarten and other top union officials have used their positions to promote Zionism, albeit in its liberal form, the Israeli state ideology that denies Palestinians their basic rights. They have also helped Israel whitewash its 2014 assault on Gaza that killed approximately 2,200 Palestinians, including more than 550 children. AFT leaders have endorsed Hillary Clinton in the US presidential election despite the presumed Democratic nominee’s hawkish support for Israel and justifications of its killings of Palestinians. Yet the TAA vote is another marker of a shift among rank and file union members. Last month, graduate student workers at New York University voted to back BDS by a large margin. Their local union, GSOC-UAW 2110, held a vote despite efforts by executives from the parent union to block a referendum and cancel an election. A week earlier, the Graduate Employee Organization of UAW Local 2322 (GEO-UAW 2322) adopted a BDS resolution with 95 percent of the votes. That union represents more than 2,000 graduate student workers at the University of Massachusetts Amherst. In 2014, UAW Local 2865, which currently represents 14,000 graduate student workers at the University of California, became the first US union to join the BDS movement in a landslide vote. But executives at the parent union, the United Auto Workers, nullified the vote last December. In a decision issued on 16 May, the UAW’s Public Review Board (PRB) rejected an appeal against the nullification. The 27-page ruling “to uphold nullification of the BDS vote … is based solely on a thread of anti-democratic thinking that misrepresents basic facts,” the solidarity caucuses of UAW 2865, GEO-UAW 2322 and GSOC-UAW 2110 said in a joint statement. “The [Public Review Board] ignored the clear language of the resolution, which simply called on the UAW [International Executive Board] to change its current position of investment in multinational corporations that enable human rights abuses,” the solidarity caucuses state. The nullification of the vote represents “an attempted ban on even raising the debate within the UAW,” they add. A leading Israel lobby group has welcomed the UAW’s decision to overturn a democratic vote. “We applaud the Public Review Board for declaring that UAW Local 2865 had no authority to subvert the UAW International’s position opposing the BDS movement,” Dean Schramm, the American Jewish Committee’s Los Angeles regional president, said. In contrast to its opposition to the struggle for Palestinian rights, the UAW strongly supported divestment from apartheid South Africa. In 1978, the union withdrew all its money from banks that made loans there. It also pulled pension fund investments from firms complicit in human rights abuses in South Africa. The decision to nullify the vote came after UCLA graduate student Stephen Brumbaugh and other members of a small anti-BDS group called Informed Grads filed a complaint. Informed Grads were represented by Gibson, Dunn & Crutcher, an elite law firm with a long record of defending corporate clients, including such union-busting and environment-polluting firms as Chevron and Walmart. “This may work in the short term, but suppression of speech cannot stop a sea change in public opinion,” Jackson added. That sea change is already happening. As a recent survey by the Pew Research Center found, the base of the Democratic Party is increasingly sympathetic to Palestinian rights, opening up an ever wider gap with establishment leaders like Hillary Clinton. The support for Palestinian rights is growing most rapidly among Millennials – people born after 1980. Similar cracks are now starting to show in the trade union movement as well. “This decision cannot erase the fact that increasing numbers of UAW members stand in solidarity with Palestinian workers,” Local 2865 BDS Caucus member Jennifer Mogannam said, adding that thousands of union members disagree with the position on BDS stated by the UAW president almost a decade ago. Union leaders “cannot just reach into a dusty file cabinet to shut down the growing number of members who want to discuss and change the union’s position on BDS,” Mogannam added. “Already, the clear will of the membership of three UAW locals is to support our Palestinian counterparts, including workers and broader society, in their struggle against racism, dispossession and apartheid,” said Joe Keady, a rank and file member of GEO-UAW 2322. Is BDS Simply a ‘Campus Movement?’ How Deceitful Can Thomas Friedman Actually Be? On May 25 the New York Times published an op-ed by Thomas Friedman with the incendiary title, “Netanyahu, Prime Minister of the State of Israel-Palestine,” which attempts to show just how far the Israeli Prime Minister has gone to destroy any notion of a two-state solution. That Friedman would have only now caught on to the demise of such a possibility should indicate just how far out of touch he is. Yes, Friedman persistently misattributes the origins of the Boycott, Divestment, and Sanctions movement, (BDS) which in 2005 emanated not from U.S. college campuses as he suggests, but rather from Palestinian civil society, with over 170 Palestinian political parties, organizations, trade unions and movements joining together to fight for Palestinian rights. Talk about obfuscation. Besides purposefully erasing the origins of BDS, Friedman constantly ignores its reach. Well beyond the borders of U.S. college campuses, churches, unions, artists, writers, musicians and others, from around the world, have either explicitly endorsed BDS or taken on one or another of its tactics. And they are doing so in increasing numbers. In April the Alliance of Baptists affirmed the use of boycott, divestment, and sanctions to end the Israeli occupation of Palestinian land; in May the United Methodist Church passed three measures criticizing Israel and advocating for Palestinian rights; in January that same church put five Israeli banks on a blacklist, declaring that the church would do no business with banks involved in the Occupation; previously in 2014 the United Presbyterian Church voted to divest from companies doing business on the West Bank. On the anniversary of last summer’s Gaza massacre, in the 48th year of Israeli occupation, the 67th year of Palestinians’ ongoing Nakba (the Arabic word for Israel’s ethnic cleansing)—and in the fourth century of Black oppression in the present-day United States—we, the undersigned Black activists, artists, scholars, writers, and political prisoners offer this letter of reaffirmed solidarity with the Palestinian struggle and commitment to the liberation of Palestine’s land and people. The list of signatories includes scholar-activists Angela Davis and Cornel West, political prisoners Mumia Abu-Jamal and Sundiata Acoli, rappers Talib Kweli, Boots Riley and Jasiri X, and Black Lives Matter co-founder Patrisse Cullors. Organizational signers include the Florida-based Dream Defenders and St. Louis-based Hands Up United and Tribe X, which were founded after the killings of Trayvon Martin and Mike Brown, respectively, as well as the 35-year-old Organization for Black Struggle in St. Louis. Friedman’s smear is obviously the establishment litmus test these days. Hillary Clinton says BDS is bad. So does President Obama, so does the French prime minister. But that will soon change. As Israel sinks further into its existential identity crisis, the few remaining liberals among the Jewish elites there will turn desperately to the world to pressure Israel, as Gideon Levy and Larry Derfner have already done. That pressure means boycott, divestment and sanctions. And if it also means the end of Israel as a Jewish state, that prospect will by then no longer be tragic to realistic Americans, including Friedman, who have glimpsed the paranoid Sparta that the Jewish democracy has produced. One can only wonder how long Thomas Friedman can staunchly keep on with his delusional lies about BDS. 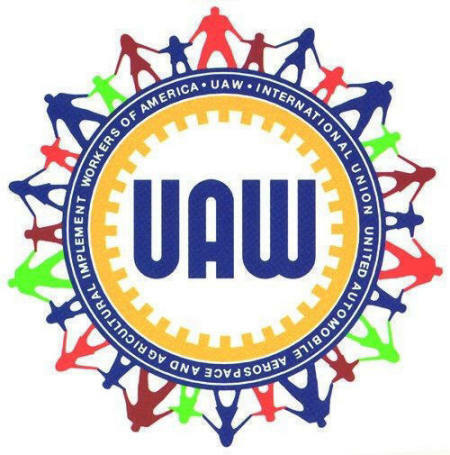 As a growing number of local unions endorse Boycott, Divestment and Sanctions (BDS) in solidarity with Palestinian workers, the United Auto Workers (UAW) Public Review Board last week affirmed a decision to nullify the BDS resolution adopted by members of Local 2865. UAW Local 2865 – which represents over 14,000 graduate student workers at the University of California (UC) – voted by an overwhelming majority in December, 2014 to demand that their union and their employer, the UC, divest from companies complicit in human rights violations against Palestinians. A few members who opposed the resolution engaged a union-busting corporate law firm to appeal the vote. In December 2015, the International UAW, which oversees Local 2865, nullified the vote – despite its own finding that the local conducted a fair and democratic election. The local union appealed, and last week, the union’s Public Review Board affirmed the nullification. The new decision reasons that because the UAW International president signed a letter opposing BDS in 2007, UAW now holds a position against BDS, and subordinate membership groups cannot assert a different position. But this reasoning ignores the fact that the 2007 statement was signed without any record of discussion among the Executive Board, much less any debate among the UAW’s membership. Popular support for BDS is growing as three more graduate student worker organizations adopted resolutions this spring. In April, the New York University Graduate Employee Union (GSOC-UAW 2110) and the University of Massachusetts, Amherst Graduate Employee Union (GEO-UAW 2322), representing 2,000 members each, endorsed by full membership vote the call from all major Palestinian trade unions and civil society groups to impose BDS against Israel. Last week, the Teaching Assistants’ Association (TAA/AFT Local 3220) at the University of Wisconsin-Madison, representing over 9,000 graduate workers and students, also voted overwhelmingly in favor of adopting a BDS resolution. Madison, WI (May 25, 2016): In the wake of recent reactions to the University of Wisconsin-Madison Teaching Assistants’ Association’s (TAA) vote in favor of a resolution to endorse the Israel Boycott, Divestment, and Sanctions (BDS) Movement, the TAA Executive board wishes to respond in utmost defense of the democratic, open voting process by which our union came to its decision. From September 2015 to May 2016, the Palestine Solidarity Caucus (PSC), an independent caucus of members formed within the parameters of the TAA constitution, had presented information at General Membership Meetings, hosted discussion forums, and sought feedback from other members on the endorsement of BDS. Information about BDS and the PSC’s proposed resolution were shared widely via membership emails and on social media. In April, attendees at a General Membership Meeting voted unanimously to place the resolution on an electronic ballot as part of annual TAA officer elections, so as to ensure the largest possible participation of membership. (In contrast, most decisions about endorsements and sponsorships are made directly by members in attendance at the General Membership Meetings, which historically have lower turnout than the number who participate in officer elections.) Prior to this final vote, the PSC held two separate town hall meetings for members to discuss and voice any concerns over the resolutions. In addition, the PSC independently organized office visits to TAA members to make sure they were aware of the vote. In the final tally, 81% of voting members supported the BDS resolution. We encourage all interested parties to read the specific text of the resolution. The resolution calls specifically for the AFL-CIO (our parent union to which we pay fees) and University of Wisconsin System to divest from Israeli state institutions and international corporations complicit in the ongoing violations of Palestinians’ human rights. Above all, we wish to make clear that we are first and foremost accountable to our membership. It is our responsibility to make sure our members feel heard and supported within our union. It is also incumbent upon us to uphold the constitution and follow our procedures that ensure a democratic process. It is neither our right nor our responsibility, however, to interfere with the wishes and activities of our membership. The union speaks through the actions of the membership, actions that we are constitutionally bound to uphold and defend. As leaders of the TAA we will not tolerate any forms of intimidation or retaliation against any of our members. We also recognize that our Jewish members may be feeling the most acute pressures at this time, regardless of where they stand on this issue. It is therefore our priority that the climate of our union and on our campus is one of respect, healthy debate, and care for each other. We will continue to hold spaces for discussion around this issue in which all members are invited and encouraged to participate. The TAA has a long history of acting in solidarity with other movements beyond the labor issues of UW campus. It is the oldest graduate student labor union in the United States and advocates for a university that is fair to all—including students, workers, and their families. Graduate student workers perform nearly half of all the instruction that takes place at the University of Wisconsin–Madison, while also taking classes and conducting research. The university works because we do. Poster: Salute to the UW-Madison graduate student workers of TAA/AFT Local 3220 for respecting the BDS picket line for Palestinian Rights! 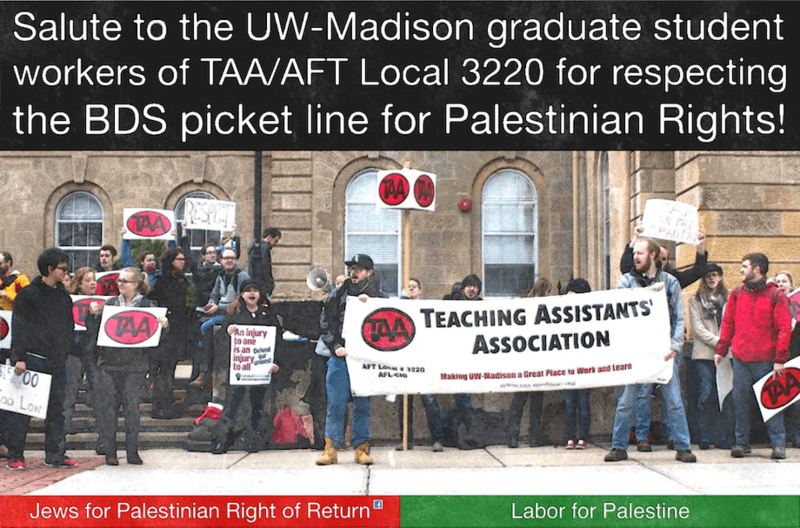 Posted on May 21, 2016 | Comments Off on Poster: Salute to the UW-Madison graduate student workers of TAA/AFT Local 3220 for respecting the BDS picket line for Palestinian Rights! Salute to the UW-Madison graduate student workers of TAA/AFT Local 3220 for respecting the BDS picket line for Palestinian Rights! Comments Off on Poster: Salute to the UW-Madison graduate student workers of TAA/AFT Local 3220 for respecting the BDS picket line for Palestinian Rights! Madison Grad Students Are First AFT Local to Adopt BDS! Click here to read full press release and resolution text. How growing U.S. labor solidarity with Palestine is helping to rebuild a democratic, militant, anti-racist, effective workers’ movement — at home and abroad. Click here to RSVP and for full text. Imprisoned Resistance: Politics of Incarceration in Palestine & the U.S.
Malcolm X & Dr. Betty Shabazz Ctr. Key background documents from Labor for Palestine, prepared for 2016 Labor Notes conference. 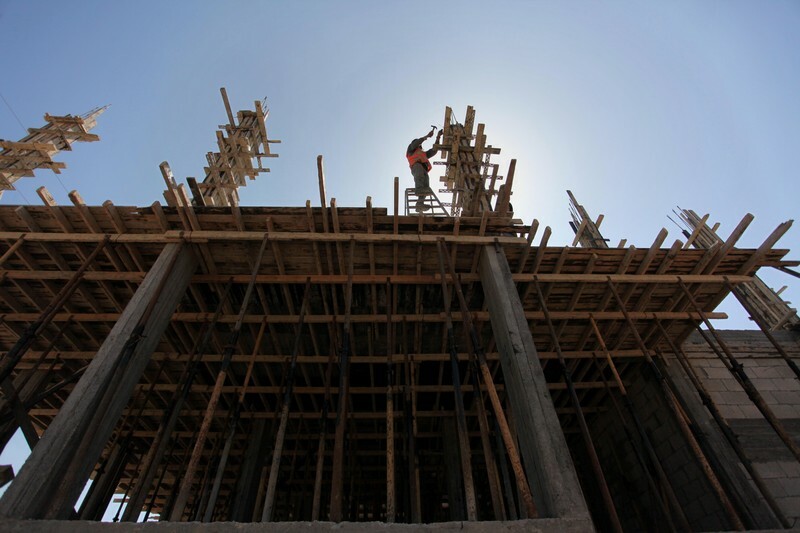 Gaza construction workers can barely scrape by after nearly a decade of Israeli blockade. Hani Abu Talal is a man on a mission. The 34-year-old laborer spends his days pounding the streets of the Nuseirat refugee camp in the central Gaza Strip for any new construction projects to which he might lend his body and time. His is the lot of a day laborer. His luck lies in the hands of the rare on-site foreman with something to offer. His mission is near impossible. This is Gaza: it has the world’s highest unemployment rate. The odd day’s work also does not guarantee respite from grinding poverty. A father of five, Abu Talal says he is lucky if a full day’s hard physical labor earns him more than 30 shekels (just under $8). From time to time, Israel allows through a shipment of construction materials, causing a mini-spike in activity. But the wages remain the same, and Abu Talal worries that should a situation ever arise where construction enjoys a sustained boom, employers will simply keep wages low. What few shekels Abu Talal makes at the end of a day are barely sufficient to pay the owner of his local grocery store from where his family get their essentials. As for the future? There are no savings. There is only constant, nagging fear, he said, that one of his children should one day need urgent medical care. Awad Baker is a contractor and one of those from whom Abu Talal would seek work. Most of his construction projects are in the central Gaza Strip, the same area where Abu Talal ekes out his living. He lays the blame for low wages and the lack of job opportunities squarely on the economic blockade that Israel has imposed on Gaza since 2007. Where construction materials are rare, they become more expensive. The balance is borne by labor. Contractors rely heavily on cheap, unskilled labor, which in turn affects quality. And the longer that continues, the less skilled the workers, said Baker. The combination of the blockade and successive Israeli military assaults saw construction output in 2014, year of the last major Israeli offensive, fall by a staggering 83 percent, according to the World Bank. With this oversupply of labor, al-Tabaa said, workers are more likely to accept work that doesn’t pay a fair wage. But Sami al-Amasi, head of the Palestinian General Federation of Trade Unions in Gaza, says the siege is not the only factor responsible for the desperate situation of local workers. He also fingered the policies of the now defunct Palestinian unity government which, he said, early in its tenure in 2014, canceled training and employment programs that could have helped people back to work. The unity government was formed after an agreement between Hamas and Fatah in June 2014, but was beset by mutual suspicions from the start. A year later, it resigned, and since then Mahmoud Abbas, the Palestinian Authority leader, has twice unilaterally reshuffled the cabinet. Though Hamas rejected both reshuffles, the government is still called a consensus government. Temporary employment and professional training programs had in the past helped mitigate the unemployment crisis, al-Amasi said, and were intended to serve workers in all sectors, including construction. Their cancellation, he said, marked not only a failure of policy — which continues under the present Palestinian Authority administration — but also showed a “disregard” for Gaza and its population. Al-Amasi also said there had been a failure to implement existing laws on workers’ rights, citing legislation for a minimum monthly wage of 1,450 shekels (approximately $380). Construction worker Adham Abdelrahman, 39, receives less than 800 shekels per month. He works a grueling 12-hour day on average. He also had no idea that the law set a minimum wage of almost twice the amount he earns. He said he was skeptical that officials have his interests or rights at heart. And pay is not the only issue facing construction workers. Safety regulations are rarely implemented, workers have no health insurance and they are unlikely to receive any compensation in case of on-site accidents. Salem al-Bashiti, 44, suffered a workplace accident four years ago that left one arm partially paralyzed. “I was lucky that my contractor was a kind man who helped me cover some of the costs of treatment. But I know many who were abandoned without even some words of consolation after their accidents,” he said. He looks forward to a day, he said, when construction workers could enjoy not only rights enshrined in law and enforced on site, but more general recognition. “We work hard to serve and build our country. We deserve to be honored and treated well,” he said. Isra Saleh el-Namey is a journalist in Gaza.